Coney Island was top of my “must see” list this visit to New York. 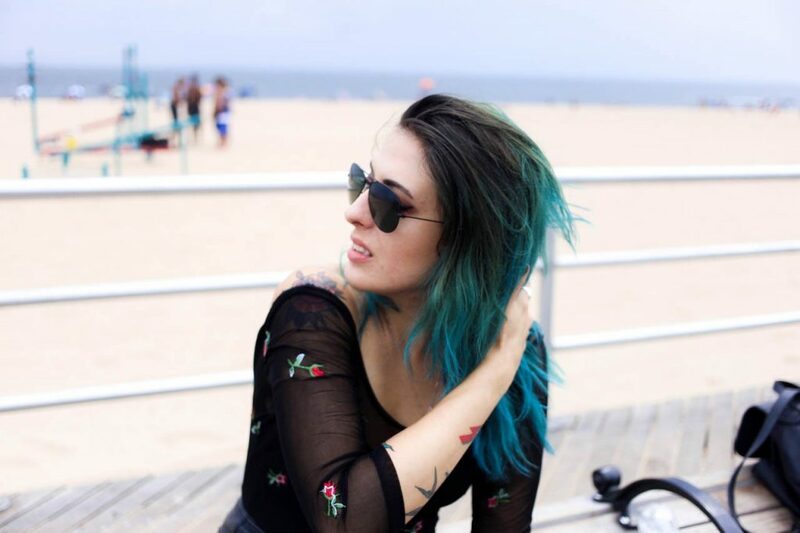 Though Pablo and I have been fortunate enough to visit the city many times before, something always got in the way of us venturing to the famous seaside attraction. This trip it was firmly in the diary even before we touched down in the USA and, come rain or shine, we were going. Of course the day we planned our big day trip was the only day it rained that week, but I’m Scottish and used to a soggy summer – so off we went on the subway, defiant of the weather. 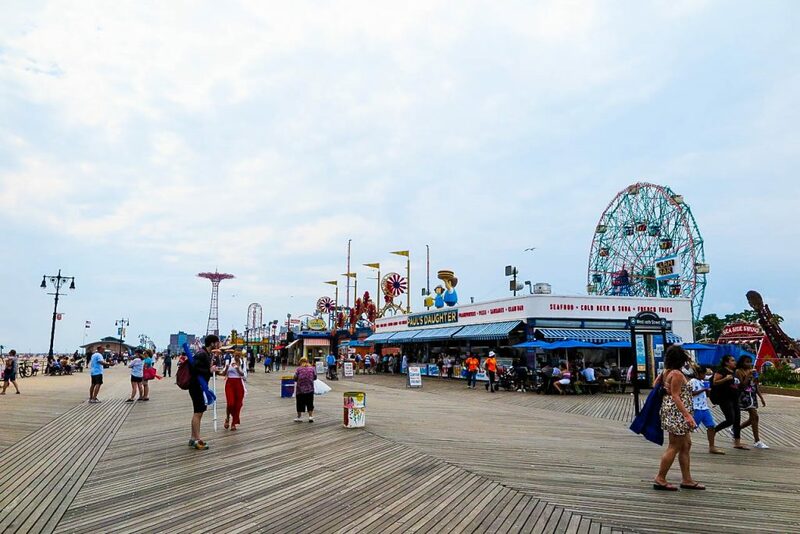 Coney Island is a beach side neighbourhood which is most famous for its amusement area featuring over 50 attractions. This part of Brooklyn has been a destination for New Yorkers looking to escape the city from as far back as 1829 when the first hotel was built in the area. 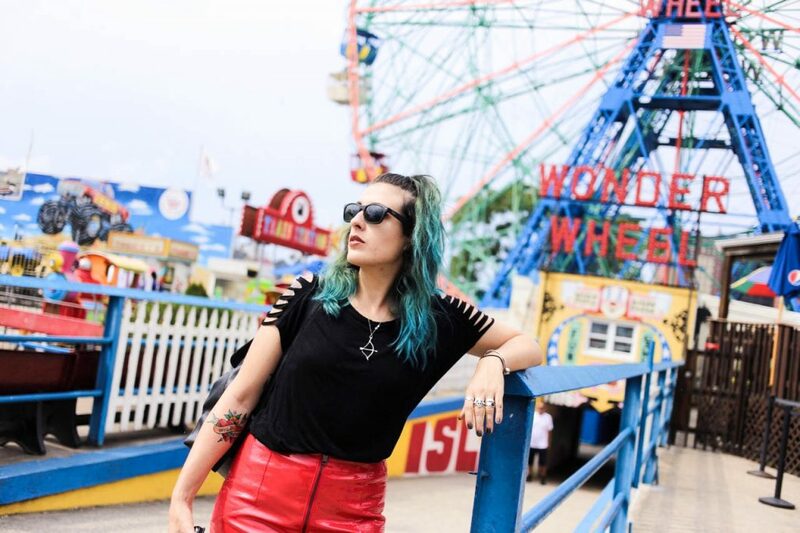 There have been many up and downs in Coney Island’s fortune and popularity, however, since the reopening of Luna Park in 2010 it has once again seen an upturn in holidaymakers and daytrippers looking to get their traditional seaside kicks. 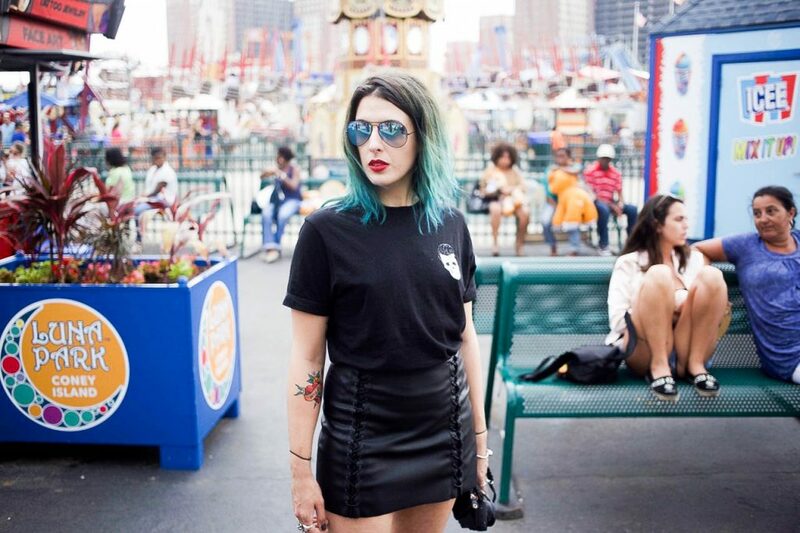 What is there to do at Coney Island? 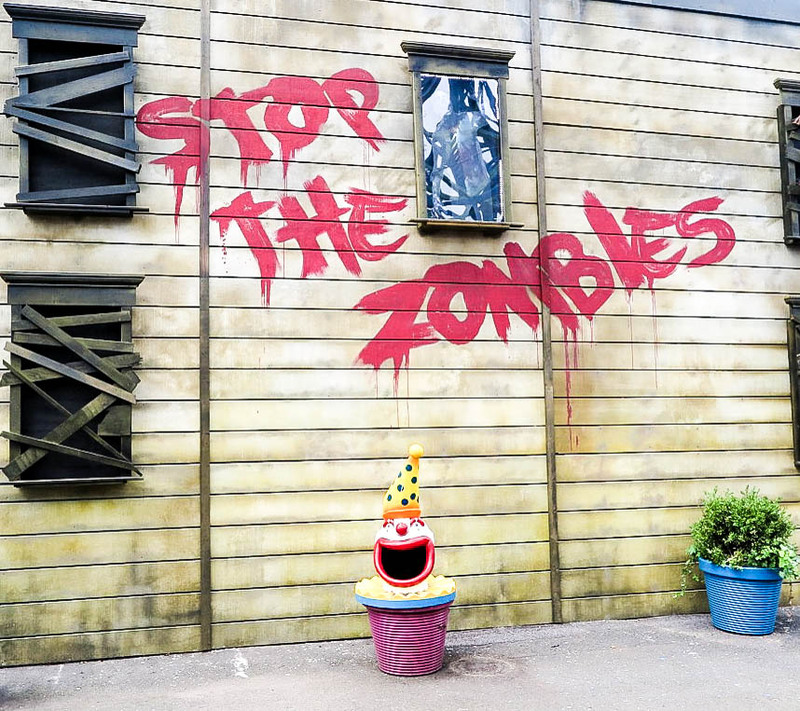 Luna Park, Scream Zone & The Cyclone Roller Coaster. 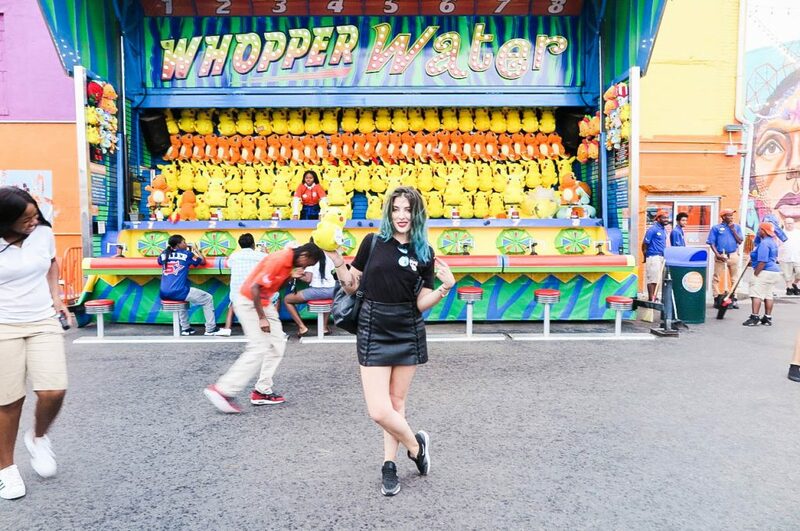 An open gated amusement park located right on the boardwalk. 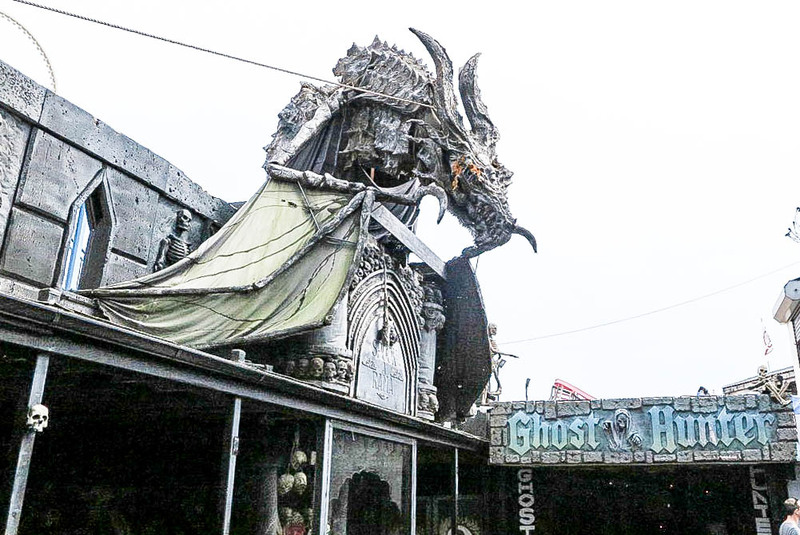 In keeping with tradition the park is free to enter and wander around or, if you’re a thrill seeker, you can purchase a wristband ranging from $29-$49 dollars which allows you unlimited rides on everything within the park. If rides are not your thing then there are plenty games to keep you entertained and unlike the UK you can actually win prizes. One of the highlights of my holiday was winning myself a Pikachu by spurting water into a hole; Pablo and the old lady next to me were not prepared for my eagerness for plush fair toys! 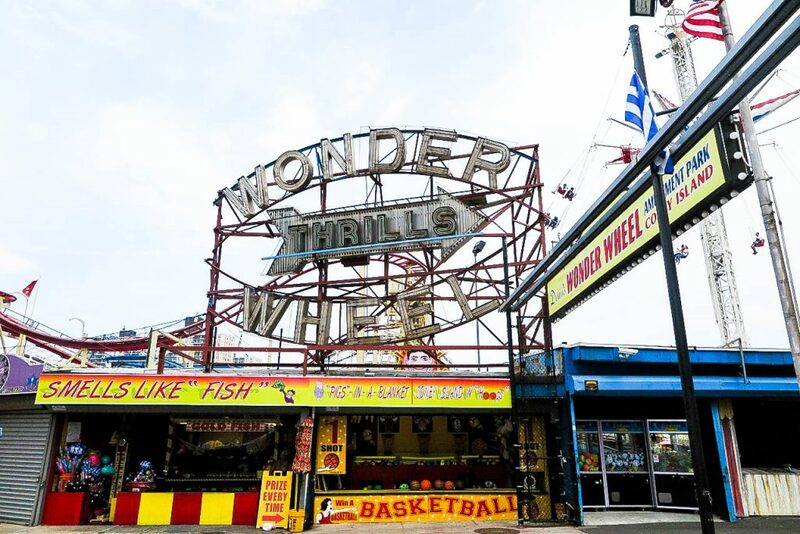 Next door to Luna Park, Deno’s offers 5 Adult Rides including the famous Wonder Wheel (at $8 a ride) as well as 12 kids’ rides. Though smaller than its neighbour, the park is well worth a visit – even just to ride the historic wheel created by Charles Hermann. 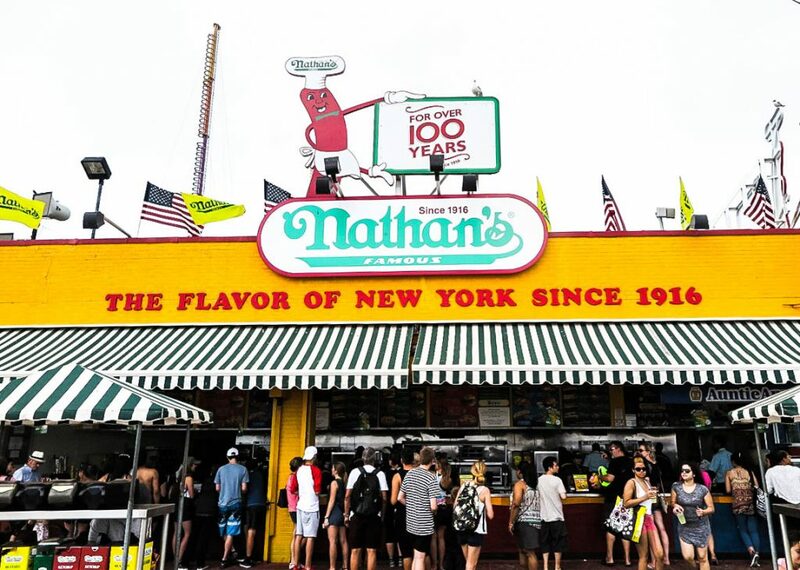 The famous 150 feet tall landmark was built between 1918-1920 right on the premises and has only had one stoppage back in 1977, during the Great NYC Blackout, patrons were brought back down to ground safely as the wheel was hand cranked – now that’s customer service! This ferriswheel is such an American icon that you can ride life sized replica in Disney’s California Adventure and Dreamland in Yokohama, Japan. Since Pablo and I wanted to film for my lookbook we were a little boring and choose to ride in the static white cars on the outside of the wheel but if we hadn’t had work to do I so would have hopped on the colourful middle cards that slide round tracks as the wheel rotates. On that note I’d love it if you’d click the video, it’s one of my favourites yet! This one is pretty obvious from the title and hosts old fashioned fun in the form of bumper cars and arcade games. Typically in the middle of a heatwave Pablo and I still managed to go to the beach in the rain. Because of the stormy skies we opted to save our swimmers for another day. The rain did not stop the hardy New York crowd, though, who sunbathed, swam, and generally took advantage of the outdoor sports equipment hitting the gym, playing beach volleyball and basketball on the outdoor courts. Others took sport a little less seriously and cycled along the boardwalk, stopping to grabs fries, hotdogs, and beers at one of the many vendors, which is more my kind of holiday activity. Also located on Coney Island Boardwalk, this is a brand new outdoor entertainment arena hosting a variety of large events. As well as concerts, the space also holds a little bit of Coney Island history incorporating the Childs Building, which when it was built back in 1923 was one of the first large-format stand-alone restaurants in America. Like much of Coney Island the restaurant fell into disrepair after World War II but is now being restored and transformed into a restaurant, box office, backstage area, and performance space. 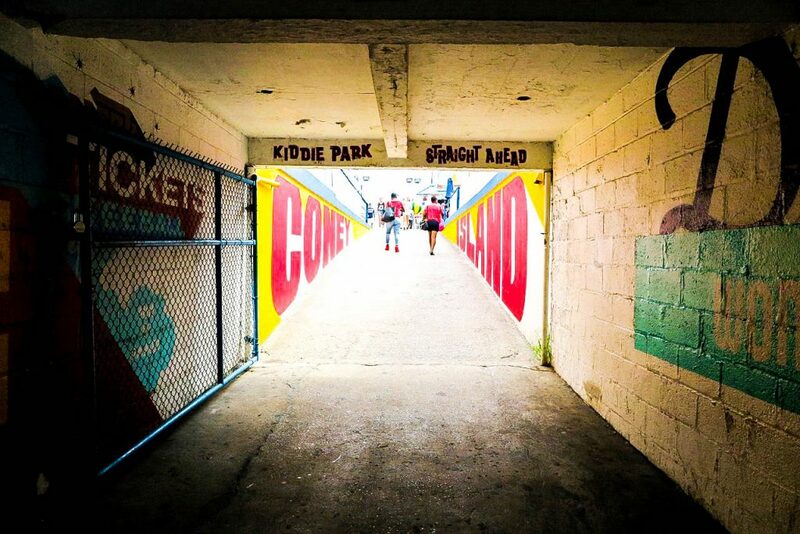 A multi purpose entertainment arena and where you can catch baseball team Brooklyn Cyclones do their thing – go sports team!! Visiting off season, Abe’s Stark Rink is open from October to March when you can skate, catch hockey or go for ice skating lessons. 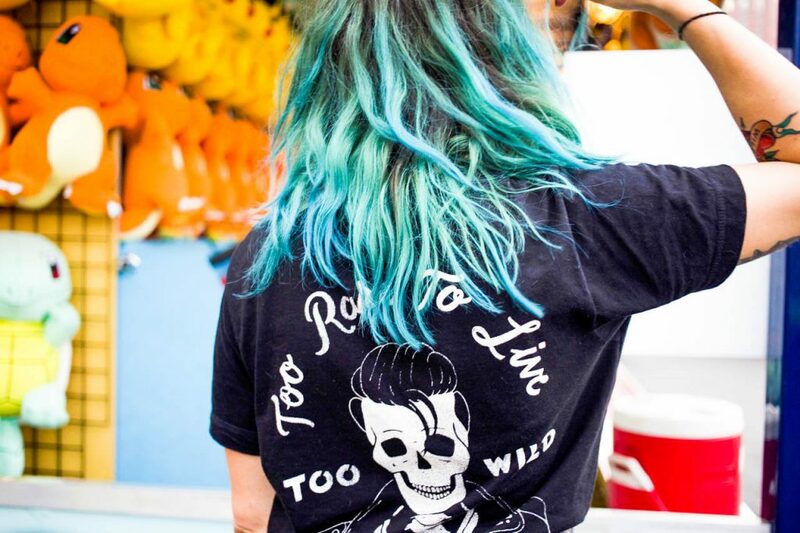 The Sideshows by the Seashore is the only permanent not for profit venue in the USA where visitors get to experience a traditional circus sideshow. 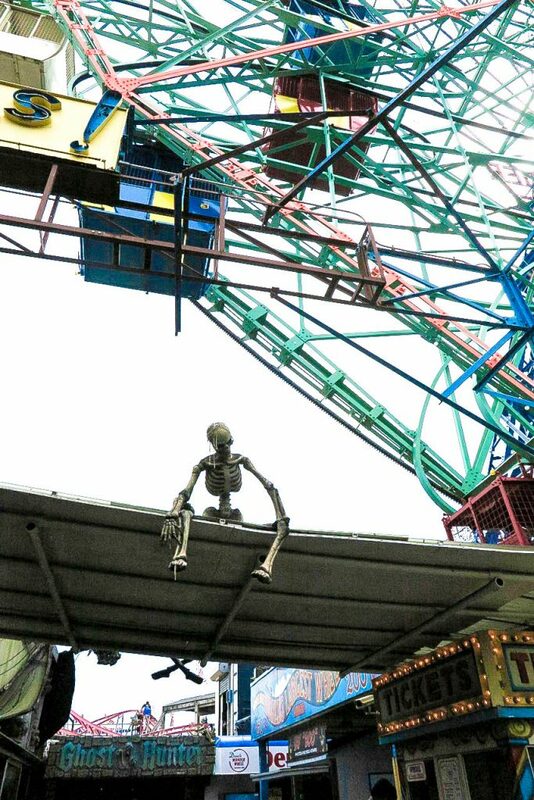 Celebrating “freaks, wonders and human curiosities” unfortunately scheduling didn’t work in our favour this visit but this is SO high on my list for my next trip to Coney Island. 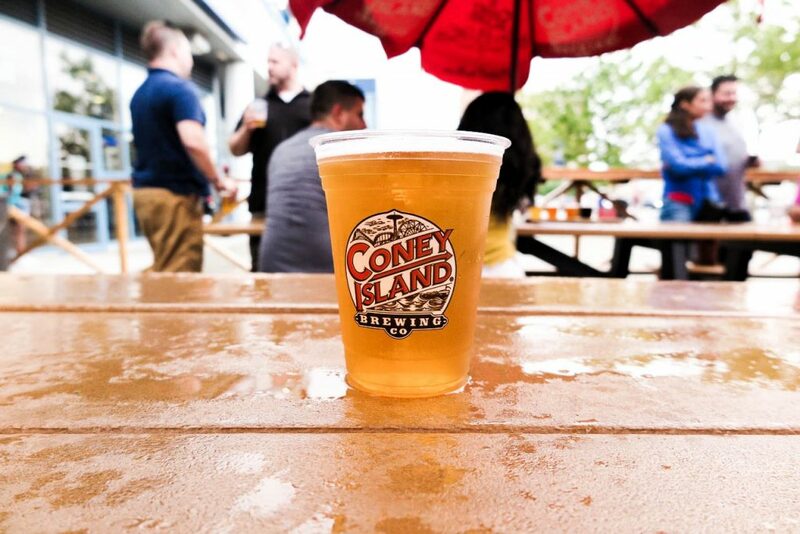 A tiny small batch brewery conveniently located next to MCU Park; the brewery is a fun place to take a break from the bustle of the boardwalk and grab an awesome beer. The brewery also hosts tours daily at 2pm, 4pm, and 6pm which are free if you buy a beer – which sounded like a fair deal to me. As the heavens opened Pablo and I squeezed up next to burly baseball fans who were also seeking shelter and enjoyed a cold brewsky in Coney Island Brewery. Although we missed out on the tour it was a fun way to enjoy a pint. Now I have convinced you that you NEED to take a trip, how do you get there? The answer is “easily”. 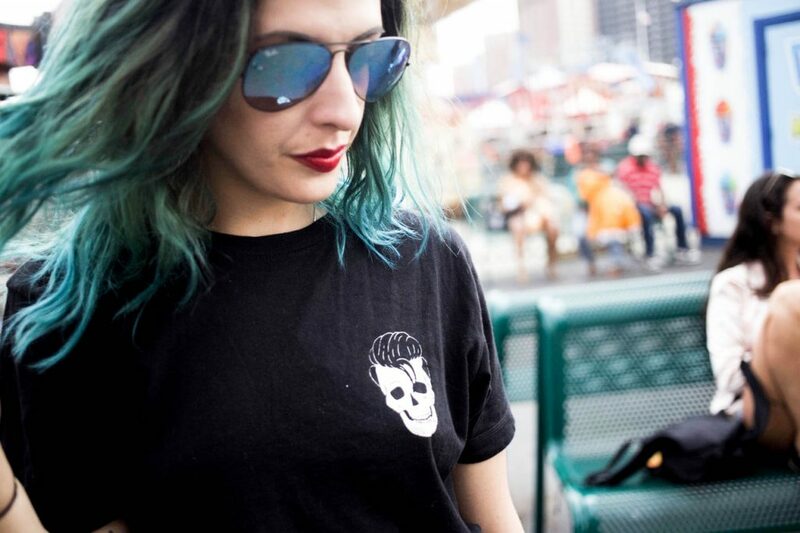 Coney island is located in the southwestern part of Brooklyn so all you have to do is hop on subway trains D, Q, N, or F train to Stillwell Avenue. 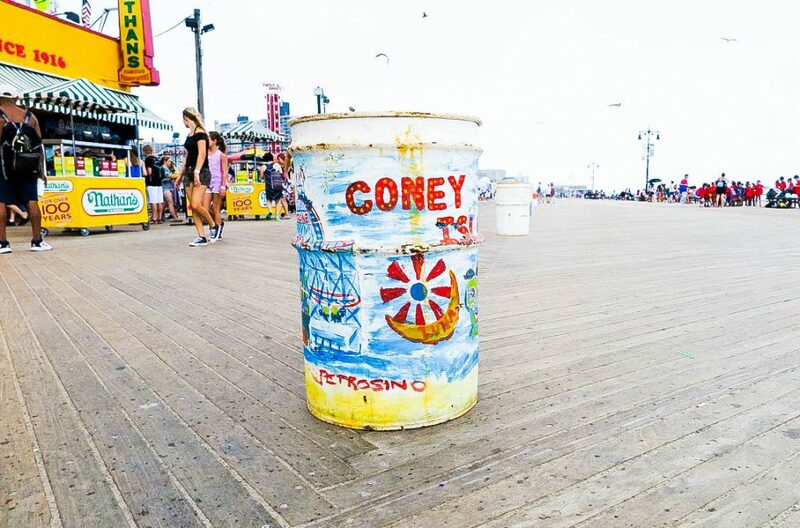 Coney Island is a fun modern day holiday spot but also proudly preserves its past. 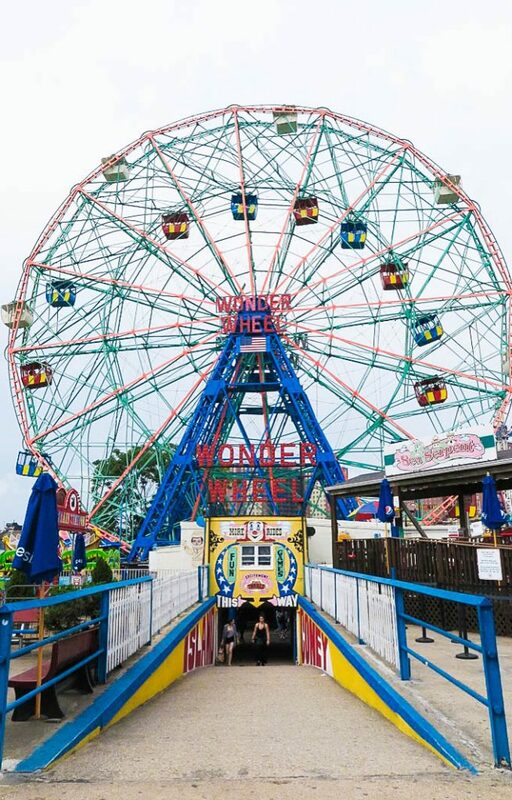 The earliest carousels were created here as well as The Wonder Wheel; other vintage rides include the Coney Island Cyclone roller coaster built in 1927 and the Parachute Jump (made in 1938). We live in such disposable times it was so nice to see people enjoying rides that had been so lovingly looked after and preserved. Seaside trips like the one we recently did to Cornwall always leave me with a feeling of being ripped off in the UK; not once have I won a prize or felt that I got good value for money. On leaving our usual seaside trips I am always a little annoyed at myself that once again I have been drawn in by a flashy sign and the promise of fun because I’ve had too much sugar. 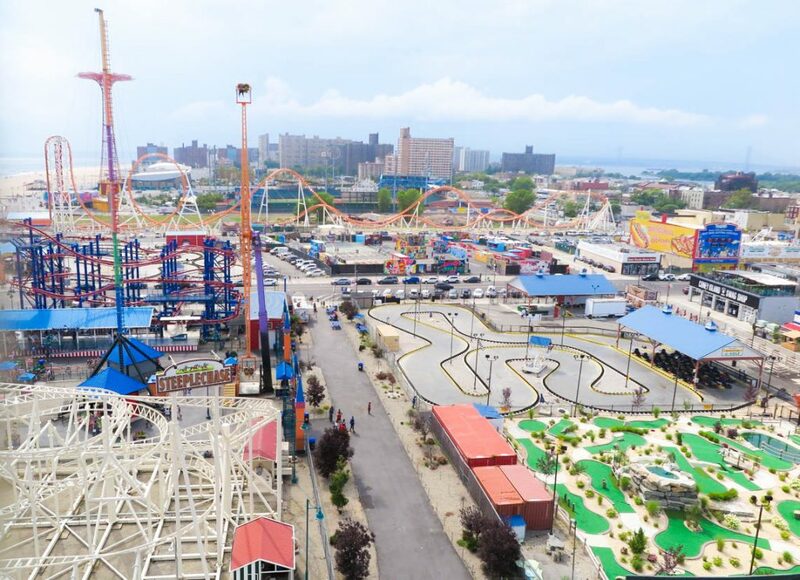 I really thought that Coney Island was pretty good value, of course there is still a chance of losing games and prices are escalated (as within any tourist area) however I barely saw anyone leave that park without a soft toy under their arm and a smile on their face. There were school trips, families, young couples, groups of friends and those who were obviously life long fans of Coney Island all getting along and enjoying their time beside the seaside. Honestly, it was just fun to have unpretentious good old fashioned fun and I’ve not felt so gleeful in such a long time. 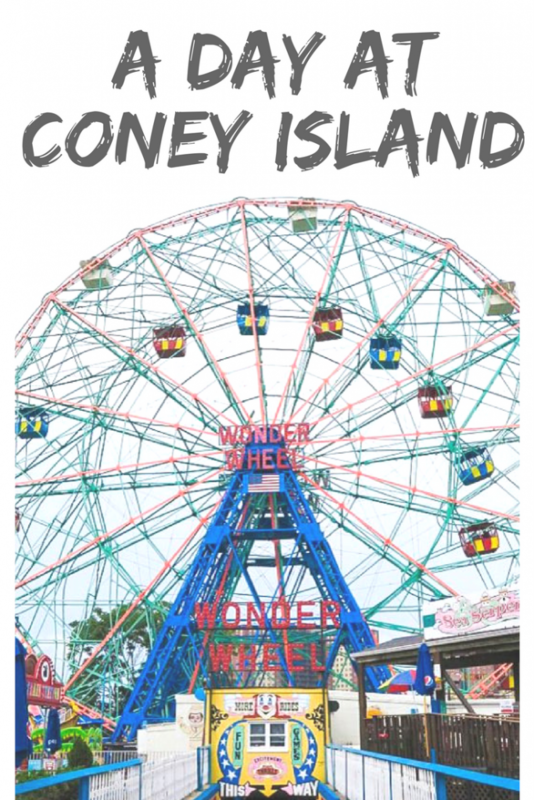 Though Coney Island may not be glossy it’s featured in many amazing film and TV shows. Some of my favourites include Wonder Wheel, Darren Aronofsky’s Pi and Requiem for a Dream, Cloverfield and who can forget Tom Hank’s visit to Zoltar in Big. 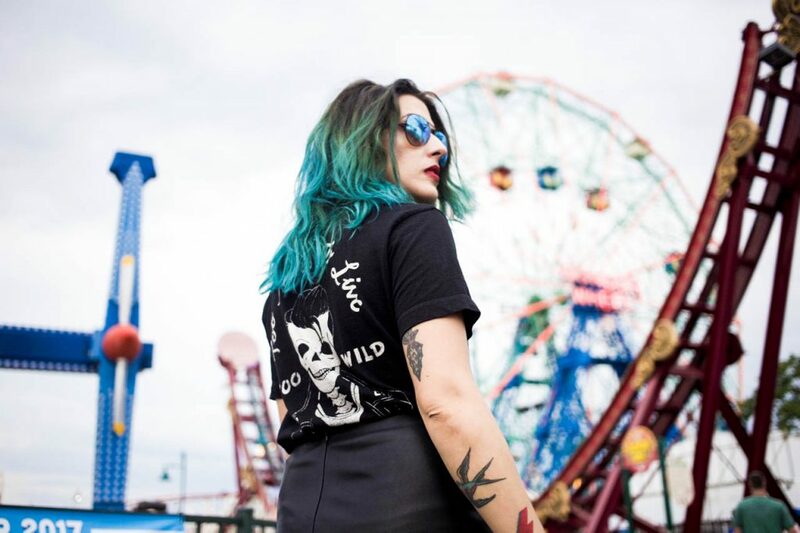 Most recently Mr Robot’s hacking layer was set in Coney Island which I will admit totally inspired some of my lookbook because I love Darleen’s slightly trashy, cool girl style. Tacky seaside resorts are totally my thing; I love the colours, the chaos, the people, the sea air, the arcades, the tat, basically everything about a trip to the seaside but like most things in America, Coney Island just does it so much bigger than our traditional seaside destination. 50 rides, 3 miles of beach, a freak show, a brewery, games that aren’t rigged and only a subway ride away from the city I mean what’s not to love?